Like being taken to a magical unknown planet, yet suddenly realising it all takes place on this globe, in mysterious Borneo and Sarawak: a beautifully written, elegant and rich dream. 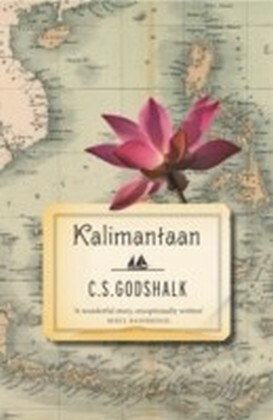 John Fowles At once sprawling and intimate, vivid and dreamy, Kalimantaan is a wondrous achievement. Tash Aw Breathtaking . . . a plot summary cant hope to do justice to the richness and complexity of this extraordinary novel . . . it is a mesmerising story, beautifully told. The Observer In the mid-nineteenth century a young Englishman, Gideon Barr, establishes a private raj on the north coast of Borneo. The world he creates, boasting churches, stone quays, and great swathes of lawn, eventually encompasses a territory the size of England. Its expansion campaigns are carried out by tribes of headhunters. Into this fragile settlement, bordered by pirates, the opium trade, and impenetrable jungle, Barr brings his fresh-faced young bride from England. This is a classic story of Victorian social mores superimposed on one of the most violent cultures on earth, and of the extraordinary group of missionaries, fugitives, madmen, and romantics drawn to this distant land.